“We do not need any special event in order to discuss the release of Jonathan Pollard. We are dealing with it. I am dealing with it, with all US presidents, including President Obama, all the time, including now. We hope that the conditions will be created that will enable us to bring Jonathan home. This is neither conditional on, nor related to, recent events, even though we have given our opinion on these developments. Welcome to the Land of Israel; welcome to the State of Israel; welcome home. Today we have with us 127 immigrants who are joining the Israel Defense Forces. Well done. You are coming here to defend the State of Israel, the people of Israel, the future of the Jewish people. We defend the Jewish people here in the State of Israel, and you are joining the IDF ranks. I take my hat off to you, as does Natan Sharansky and the entire nation. Well done to all of you. Ninety-three children are here with you today out of 350 immigrants. In the ten years Nefesh B’Nefesh has operated, they have brought 33,000 new immigrants to Israel, mostly from North America. This is a tremendous achievement – tremendous – and it is yours. It is not that the country does not have any tasks to carry out; there are many. However, we have a dynamic, developing society, a strong country, a country with confidence in itself, and we must defend this country as you are doing by joining the IDF, as well as by other means. Today, I decided to appoint MK Avi Dichter to serve as the Minister for Home Front Defense. He previously served as Minister of Internal Security; he was also the head of the Shin Bet. I remember him from 40 years ago when we served together in the IDF Special Forces. He has many virtues and he is now charged with a very important mission: to continue doing what he has been doing his whole life – contributing to the security of the country. Because I attribute great importance to home front defense, my government has invested a great deal in it, as no other government before ours has. We have done a great deal already, but there is a great deal more to do and Avi Dichter, as Minister of Home Front Defense, will do so in his new position. I am certain that you join the entire nation in congratulating him on this important new appointment. I would like to say a few words to you in the language that is still customary for you – in English. I am certain that in time, Hebrew will become no less customary. Welcome to Israel. Welcome home. I was given a list of all the places you come from. You come from California, from New Jersey, from Ohio, and from over two dozen states across America. And I understand you also come from Alberta and from Quebec. But the truth is you all come from one place – Israel. This is the land where we all come from. This is the land where our ancestors lived. And this is the place where our identity as a people was forged. And this is the country where the Jewish people are building the Jewish future. I want to talk to the 127 olim who are joining the IDF today. Each of the 350 people who have made Aliyah today have decided to link their personal future with the future of the Jewish State and the Jewish people. But you’ve decided to do something else. You’ve decided to defend the Jewish future. And to have the opportunity to do so is a great privilege. It wasn’t accorded to previous generations of Jews. In previous times, for almost two millennia, the Jews could not defend themselves. This is the great transformation that occurred in our time – that we can regain our destiny and defend our future – and this is a privilege that you have now decided to practice personally, thereby altering your lives and the Jewish future as well. I can tell you that the founders of Modern Zionism did not think that when we amass back in our ancestral homeland, and we restore the capacity to defend ourselves, that anti-Semitism would disappear. That is not what they thought. But they thought that we could defend ourselves against anti-Semitic assaults, and those have not been eliminated. They have not disappeared. On the contrary, there is a rise of a new anti-Semitism. As the Jewish State progresses and rises, so does anti-Semitism, but it changes form and we see today a virulent attack on the Jewish people – a virulent new form of anti-Semitism. And we need to defend ourselves against that and those who give it intellectual support. This is a job that we all have to do, but the most important job is to defend the Jewish State. This we are doing – this you are doing. And I’m proud of you. I think the whole people are proud of you. The friends of Israel, Jews and non-Jews alike are proud of you. And I want to encourage you to progress personally, but also as a group. I’d like to meet all of you in three years time. Wait until you finish your service. Tony this is a request that I make with my colleagues here. I’d like to meet all of you, and when you finish your service to the army, I want to salute you again and I want to encourage you to rise and thrive in the one and only Jewish State. Welcome to Israel. Welcome home. Thank you very much. “I spoke a short while ago with Be’er Sheva Mayor Rubik Danilovich. He was very, very excited because today we are dedicating the high-speed rail link, and now it will be 55 minutes from Be’er Sheva to Tel Aviv and from Tel Aviv to Be’er Sheva. This is down from 76 minutes and we will yet lower it to 45 minutes. “To compare, 1,000 infiltrators crossed last month. In May, there were 2,000. I remind you that all those who reached the border did not reach the border, sit there and wait for a ride to Tel Aviv or other localities in the State of Israel. This is not what happened. They came and were taken immediately to detention, and we have increased the number of holding places, we increased them thanks to vigorous Government action. At the same time, this week we will complete the 200th kilometer of the fence. It will take us another few months to complete the 20 additional kilometers in the mountainous areas around Eilat and in the central part of the border with Egypt, and we are applying, I would say, great conscious pressure in Africa to explain to infiltrators that the rules of the game have changed. Israel’s government has budgeted more than $10 million to provide college scholarships and Hebrew language schools to new immigrants. Israel’s government agreed to expedite the arrival of the final Ethiopian immigrants waiting to come to Israel. Israel deported 150 more migrants from South Sudan. A planeload with the African migrants, which Israel calls illegal infiltrators, left Israel for South Sudan on Monday evening. Some 120 South Sudanese migrants had left Israel last week. The migrants reportedly are leaving voluntarily in exchange for a cash grant and a flight home. Migrants who do not leave voluntarily will be imprisoned, according to reports. “Regarding events in the south, the IDF is taking strong action against those who are attacking us and it will take even stronger action if need be. Our policy is to use force in order to restore security and quiet to the residents of the south. Tomorrow, another plane will leave for South Sudan. Two additional planes will leave next week. I note that in the wake of our decision a few weeks ago, any infiltrator who sits on the border and waits for a bus to take him to Tel Aviv will now be taken to years of detention. This is already making itself felt. At the same time, we are completing 190 kilometers of fence this week. The section around Eilat, which we thought would take more time, is being built quickly. Therefore, the combination of these things, including fines and punishments for those who employ illegal infiltrators, I think has begun to reverse the trend, and we will solve this problem. 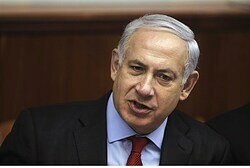 Prime Minister Binyamin Netanyahu: The problem of infiltrators is now being dealt with. We will stop the flood of infiltrators. Prime Minister Binyamin Netanyahu promised on Wednesday that the problem of illegal infiltrators will be solved within a short time period. Prime Minister Benjamin Netanyahu made the following remarks today following a discussion that was held on the issue of illegal infiltrators. Interior Minister Eli Yishai, Public Security Minister Yitzhak Aharonovich and Justice Minister Yaakov Neeman, as well as IDF, Israel Police and Prison Service representatives, attended the discussion. “I held an additional discussion – along with the Interior Minister, the Public Security Minister and the Justice Minister, as well as with professional elements – in the framework of the national emergency plan to remove infiltrators. This is a serious problem and we are dealing with it. First, we will complete the fence as quickly as possible and deal with infiltrations until the fence is completed. Second, we will build detention facilities including thousands of units. Third, we will move infiltrators directly from the border to the facilities. We needed to make several changes and we made them. Fourth, we will punish those who illegally employ infiltrators. Next week will be the second and third Knesset readings of a law that will deal severely with such employers, and allow their businesses to be closed. At the same time, the Interior Minister is preparing to issues orders that will allow for the detention of the infiltrators. This is still partial but it is a start. The Public Security Minister will detain infiltrator criminals in the Tel Aviv area and put them in prison, and this will be done in addition to the continued deployment of a Border Police unit in southern Tel Aviv. 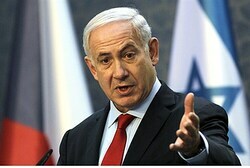 Netanyahu said the problem of the infiltrators would be solved. “We will complete construction of the fence within a few months and we will soon begin repatriating infiltrators back to their countries of origin,” he said. Wednesday night’s violent protest in south Tel Aviv’s Hatikvah neighborhood, involving about 1,000 protesters, ended with 17 arrests. On Wednesday, more than 1,000 people calling for immigration laws to be enforced demonstrated at the corner of Irgun and Haganah in the southern Tel Aviv neighborhood of Hatikva. After the rally some protesters smashed windows, lit garbage cans on fire, and damaged a car that had three illegal aliens in it. No one was hurt in the incident. On Thursday police arrested 12 people on suspicion of attacking the vehicle, and running riot. Witnesses say vast majority of those who attended the rally both arrived and departed peacefully, despite the deep frustration felt by local residents. Late last year, Netanyahu – who has described the deluge of illegal aliens in Israel a “national catastrophe” and “demographic threat” – said he would travel to Africa to meet with leaders and arrange for the safe return of their nationals currently in Israel. Israel, a small nation of some 8 million people – of whom 75% are Jewish – does not have the capacity to absorb large numbers of non-Jewish immigrants or refugees while at the same time ensuring the Jewish character of the state. Israel’s left has derided attempts to deport illegal aliens as ‘racism’ and ‘incitement,’ and argued that returning African refugees to their countries – especially Sudanese nationals – would endanger their lives.